Before CiraSync, the ability to sync public folder contacts to smartphones was an enterprise-wide challenge to execute correctly, even with large amounts of administrator time. Now this process can be handled by an admin in just minutes. This is an easy way to improve the productivity of employees using smartphones on Office 365. To see how simple and easy it can be, check out the four-minute video about Cirasync, Enterprise Edition. Select the Public Folder that has the source contacts. Choose the targets (DL’s or groups) that will receive the contact list. This is usually smartphone users. Name the “sync tunnel” for management purposes. Check Outlook and your smartphone to verify the contact list is correctly configured. The simplicity and scalability of CiraSync are notable. 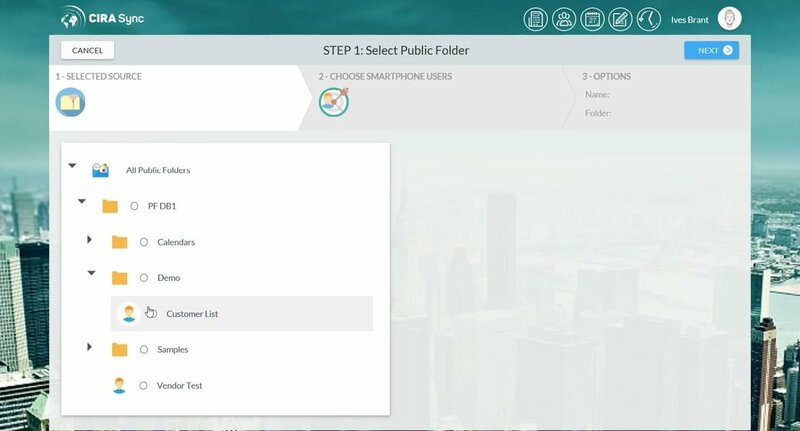 After watching this video, an Office 365 Global Admin will be able to designate and sync Public Folder contacts to smartphone users in a few minutes.